Gun N’ Roses have announced the band’s first ever live appearance in one of the world’s most populated cities: Jakarta, Indonesia. 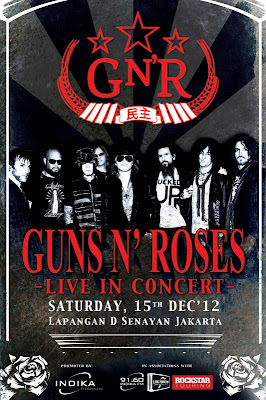 Making only one stop in southeast Asia, GNR are set to invade the popular coastal town performing at the Lapangan D (D Field) Senayan, Jakarta on December 15, 2012. 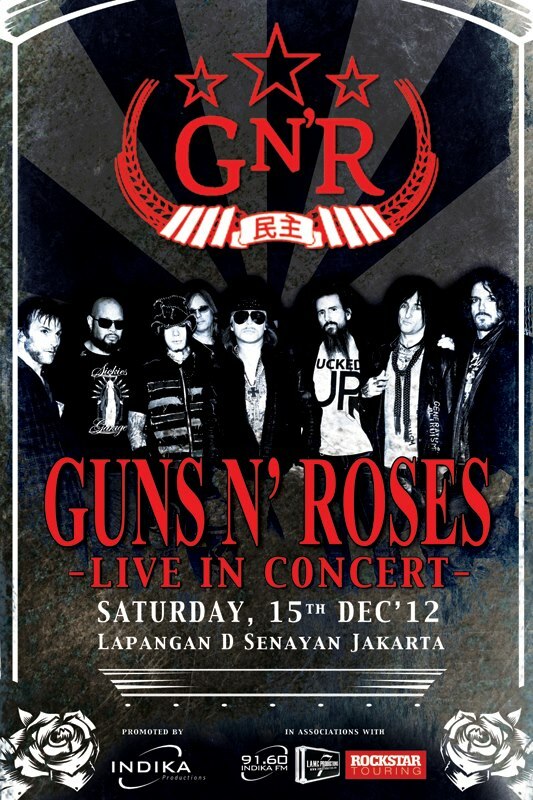 Tickets for GNR live in Jakarta are on sale now at this location. This weekend, GNR will perform at Neil Young’s annual Bridge School Benefit concert, and then kick off their “Appetite For Democracy” residency at The Joint inside Hard Rock Hotel & Casino in Las Vegas, where the band will play 12 shows between October 31 and November 24. “Appetite For Democracy” will span the band’s biggest hits from their debut album “Appetite For Destruction” (1987) through to “Chinese Democracy” (2008). Exact details about the show are being kept under wraps but fans can expect the raw and gritty heavy metal Guns N’ Roses is known for along with a few surprise elements.